Shepard Fairey&apos;s artistic style is so prolific that if we created a time capsule of contemporary visual culture, his HOPE poster for the Obama campaign would be one of the first items wedged into our water-resistant container. 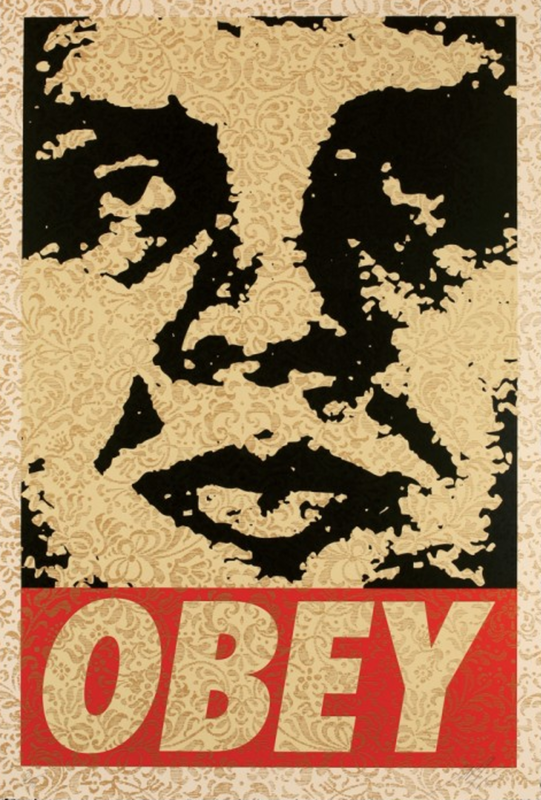 As a teenager in Providence, R.I., armed with a stack of stickers bearing his sketch of Andre the Giant, Fairey spread his visual identity across the streets, a practice that eventually grew into his powerful OBEY brand. Now Fairey is helping other artists on the rise get the exposure they need with a new exhibition titled "The Provocateurs," hosted by Art Alliance. Opening in Chicago this Friday, Fairey&apos;s show will bring contemporary artists together, many of whom have roots in street art and music, for an exhibition about pushing limits. 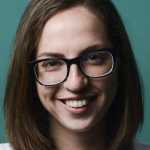 Fairey, who is the curator of "The Provocateurs," is staging the show alongside Lollapalooza in an attempt to entice an audience of culture lovers to pay attention to the art world, and hopefully buy a piece of art. We talked to Fairey about his newest project and asked him to comment on the street art movement today. You can work with a tamer element, but if the artist is a free spirit, they themselves are not going to be tamed. 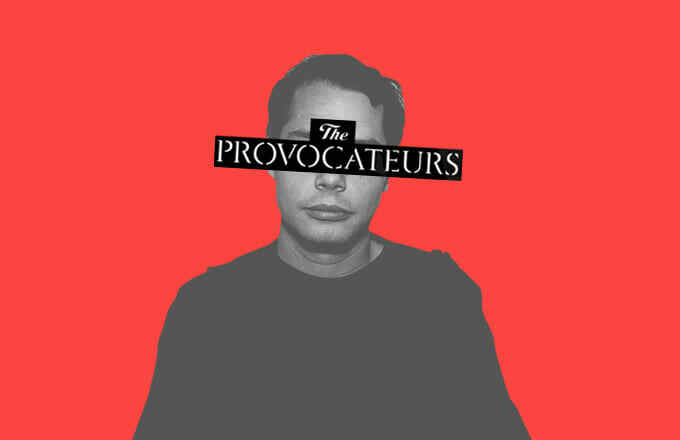 How did you choose the artists participating in "Provocateurs"? What is the unifying theme or principle you were looking for? All the artists are people that I think are provocative in one way or another. That&apos;s the uniting theme. They&apos;re from different genres, but they are pushing outside of the orthodoxy aesthetically. For example, they&apos;re using music as a vehicle for how they’re getting their audience rather than the art world, like Stanley Donwood (he does all the artwork for Radiohead) and Thom Yorke. For other people, the content is challenging in another way. Cleon Peterson, he’s a painter but has a very provocative approach to his content. It&apos;s about the decay of society when people are reduced to a Lord of the Flies existence. People are challenging notions of how art should be delivered, what it should look like, what it should say. Why did you decide to have the show during Lollapalooza? Art and music have a lot in common. They&apos;re two different art forms that have the ability to connect with hearts and minds, but music is much more democratic. For the most part, especially with a festival like Lollapalooza, which curates topnotch acts that are frequently coming from counter-culture even though they&apos;ve been more accepted into the mainstream, I think that their audience is a fan of art. There are a lot of ways in which music festivals, like Coachella, Lollapalooza, and Glastonbury, have figured out how to bring art in in a peripheral way. But art deserves to find a big audience, and music fans deserve to have more than a cursory relationship with art while they&apos;re checking out music. I&apos;m a huge music fan. I DJ. I&apos;ve done multiple shows inspired by music, themed around music. I&apos;ve done artwork for people ranging from The Black Keys, Interpol to Led Zeppelin, Black Sabbath, The Rolling Stones, Public Enemy. I&apos;m a big music fan, and as a street artist, I believe that it&apos;s important for art to be in front of more than just gallery-goers and museumgoers. Doing something with Lollapalooza is a natural fit; it&apos;s logical. It&apos;s people who are sophisticated and curious about culture and consuming and shaping it, and they&apos;re all in one place. It seems like a shame not to have art available to them when there&apos;s such great energy around the festival. I can see this provocative, DIY movement lining up with the history of music festival culture. But today, it seems like a lot of music festivals are dominated by brands. Was that at all a consideration when building this show? I employ what I call the "Inside Outside Strategy.” When you&apos;re shut out of the dominant structure, work outside of it, do your own thing. When you can benefit from the platform the structure provides on your own terms or infiltrate the structure and make it better, then go inside. This show really embodies that philosophy. Another measure that demonstrates where we&apos;re coming from philosophically with "The Provocateurs" show is the fact that my team and I have secured outdoor walls for a bunch of the artists. I&apos;m certainly not going to stop anyone who wants to go and do whatever they want in the city like they normally do. That&apos;s part of this culture, and I&apos;ve been arrested 16 times doing street art. That&apos;s the thing about a lot of this art, you can work with a tamer element, but if the artist is a free spirit, they themselves are not going to be tamed. The origin of my project was to demonstrate to people that you don&apos;t have to be wealthy or connected to empower yourself. Do you think that it&apos;s essential to the rise of street art, music festivals, or any other genre to open up more and become less of a DIY movement? Anybody that gets to the point where they’d be invited to be in this show has put in years and years of DIY effort. I&apos;m 25 years in now. I started in &apos;89 when I was 19. Most of the artists in this show are people who have shown a real commitment. I&apos;m very suspicious of people who use street art or graffiti as a quick way to launch an art career without maintaining the practice of street art. Asking street artists to only do things on the street and never earn a living from it would be like asking every band to only go out on the corner and play and put a hat out. It&apos;s just not realistic or fair. Street art itself is something that people do without permission, or if they have permission, it’s worked out with a friend who has a building spot. It&apos;s still very much a DIY endeavor. That&apos;s something that I always believe in. The origin of my project was to demonstrate to people that you don&apos;t have to be wealthy or connected to empower yourself. The origins and the evolutionary cycle of this stuff is something we hope to showcase without losing sight of how it all began. Do you see 2014 and the last couple of years as a pivotal moment for the street art movement? 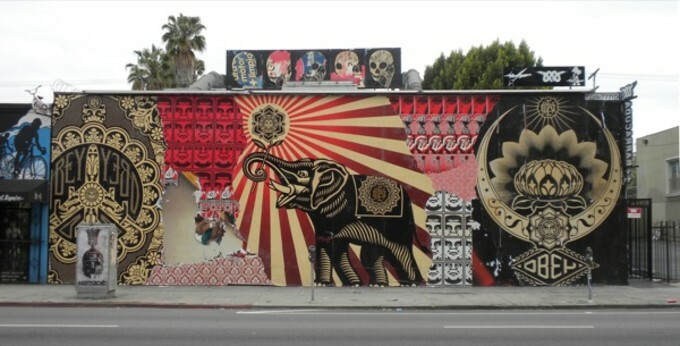 Since there’ve been things like the "Art in the Streets" show at MoCA and several other significant international shows for different artists, street art and graffiti are being recognized as valid art forms. The great thing about street art and graffiti is that it&apos;s free. Once you start making work that you&apos;re charging money for, it takes on a different criteria for quality. Even though I&apos;m a fan of a lot of street art that&apos;s not gallery ready, when I look at what&apos;s happening with street art or graffiti, it&apos;s more about the people who can work on any surface successfully, whether it&apos;s a canvas, a wall, or paper. Those people are being given the credit they deserve rather than being discredited because one significant facet of their work is street art or graffiti. Just because someone&apos;s a good street artist doesn&apos;t necessarily mean they&apos;re good fine artists. The people we have for "The Provocateurs" are great at both. That&apos;s part of the criteria. Are you worried about accommodating the expected 5,000 visitors per day? I am, but a lot of people come to things, and they might stay for 15 minutes, they might stay for a couple hours. Not everyone has a long attention span for art. We&apos;re hoping that people will come in and they&apos;ll buy a piece of art or they&apos;ll buy a print or a T-shirt. When you look at how many people go to an art show versus how many people actually spend money on art, it&apos;s not the same as how every single person going to a music show paid money to see that band. There&apos;s no comparison, and the price structures are also very different. We&apos;re hoping to connect with a lot of people, please existing art fans, and cultivate new ones. This isn&apos;t just about showing art in a white-walled space. It&apos;s about bringing art to the public whether they want it or not. Do you feel that, by taking on the role of curator for this show, you&apos;re giving back to other artists that are coming up? There&apos;s absolutely no guarantee that we&apos;re going to break even on this. It&apos;s a really, really ambitious endeavor. There are a lot of different things that appeal to me about doing this, but, yes, it is about supporting people. 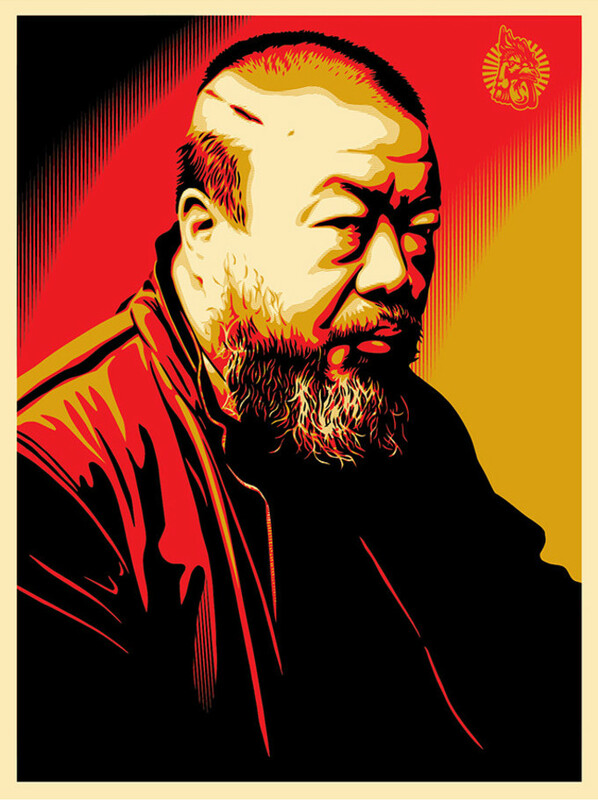 There are always going to be a few people from contemporary art that find a spotlight for a minute, but when you look historically, whether it&apos;s the Pop artists, the Impressionists, Dada, Photorealism, or Abstract Expressionism, there is a power in critical mass for the movement. I want to make sure that the people who already have an audience are benefiting the people that are emerging by being able to show in in proximity. It&apos;s not all that different than having lesser-known bands and better-known bands on the same bill. What were some of the difficulties putting on this show that you didn&apos;t expect? A lot of the artists are busy. A lot of them don&apos;t like structure that much, so it&apos;s hard to lock them in on things like sending us photos of the art they want to show, sending us a bio. We&apos;re doing a print portfolio with 10 of the artists because we want to have medium-priced prints. They&apos;re fine art prints, limited edition on 100 percent cotton deckle edged paper, really gorgeous. But a lot of the artists don&apos;t know how to separate their images for screen-printing, so I ended up having to do that for most of the artists. And then threading the needle with their schedule to get the prints printed, signed by them, and then shipped back so that it all happens within the small window that we have, that’s a lot of planning. It&apos;s not really what I like to do, but I know it&apos;s necessary to make the show happen. Other challenges are permits for murals because we&apos;re giving the artists significant walls. Artists can do their-hit and-run thing as much as they want, but we also want to do some really amazing large murals. The mural I&apos;m doing is 45 x 45 feet, and a bunch of the other walls are comparable sizes. Getting all the permits and permissions, and things like scissor lifts, scaffolding, or boom lifts in place is a lot. We spend money doing the outdoor component, and we don&apos;t make money from it. This isn&apos;t just about showing art in a white-walled space. It&apos;s about bringing art to the public whether they want it or not. The good thing is the murals will be permanent. They&apos;ll be looked at not as vandalism but as art. That helps me make a lot of the arguments I like to make, like, Why is this art when somebody gave us permissions, but when we didn&apos;t have permission you said it was awful, it was vandalism? Your aesthetic judgments are based on the fear of the rebels are taking over. I like to have that ability to say, “Hey, don&apos;t let your fear of weeds growing through the cracks in the sidewalks or a couple of tags here and there distort whether you think this is good art.” Because it is good art. Can you talk about a your pieces in the show or ones that you think are particularly provocative? Several of my pieces are about the environment, the fossil fuel industry, and climate change. It&apos;s also about the strangle hold that the fossil fuel industry has on legislators. We&apos;ve got stuff from REVOK that&apos;s all made of reclaimed wood. He was in Detroit for a long time, and there are a lot of abandoned buildings there. One of his concepts is creating amazing geometric pieces out of colorful wood from old signs and things from abandoned buildings he&apos;s cut up. It&apos;s the idea that decay can also be the root of rebirth. Mark Mothersbaugh, the lead singer of Devo who also does all the music for the Wes Anderson movies, he’s a really great visual artist. He has an installation of eight records with art drawn on them. As he was making music, it was being cut directly onto a piece of vinyl. He&apos;s going to have a record player with a loudspeaker and have the records on the wall with instructions for people to play them, but not to damage or steal them. We&apos;re going to see if people do damage them or steal them knowing they&apos;re one of a kind. Or whether they try to record the music off this crappy phonograph with their iPhones and transmit it digitally where it will be infinitely reproducible. So, you&apos;ve got two extremes: one of one, and infinite ones and zeros forever. That&apos;s a pretty provocative concept.